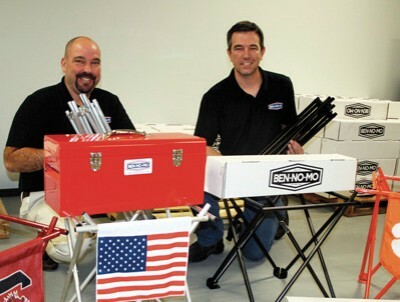 BEN NO MO, an adjustable collapsible stand that recently hit the market, is a result of the common expression, “Necessity is the mother of invention.” And, it was invented and manufactured right here in Florence. BEN NO MO is a light weight, portable, aluminum stand which can hold up to 300 pounds. It can be adjusted to hold small or large items, which makes it handy when tailgating, camping, fishing, gardening or on the beach. No more bending down to reach drinks in the cooler or tools in a toolbox. Five local partners are involved in the development and manufacturing of this new product. They are long-time friends Jimmy Gregg and Larry Lyerly, along with sons, Jay and Charlie Gregg, and Chad Lyerly. The idea originated with Jimmy about four years ago after his son brought a fixed cooler stand to an outdoor event. “Everyone loved it,” Jimmy recalled, “because no one had to bend down to get drinks out the cooler.” However, at the next event, a different cooler was used and it would not fit on the fixed stand. Jimmy realized that an adjustable stand would fix that and he began brainstorming about his idea with his golfing buddy Larry, owner of Atlantic Tooling and Fabricating. Around the end of 2012, he brought a rough sketch of his idea to Larry’s son Chad who came up with a viable design. It took about eight months to perfect the final design. The next step was to apply for a patent which they obtained in November of last year. “We played with this idea for about two and a half years and then it was finally time to take the big jump,” Jimmy commented, explaining that a substantial financial investment was required to get their product manufactured and on the market. 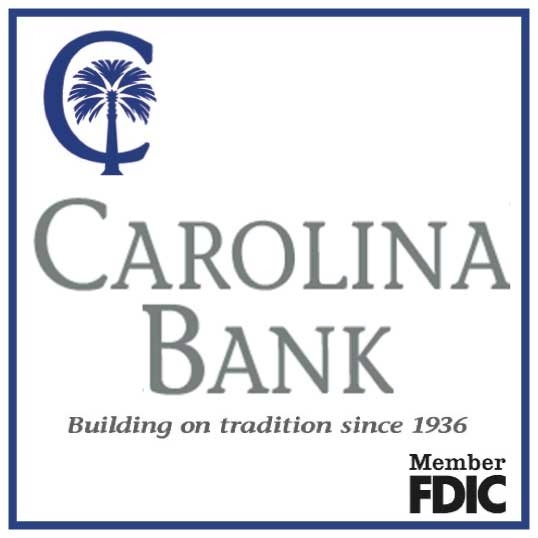 They were able to get great support from two local educational sources – Francis Marion University and SiMT, Jimmy said. FMU’s Small Business Institute assisted with marketing analysis. The Gould Business Incubator on the SiMT campus at Florence-Darlington Technical College provided support and manufacturing space. In fact, BEN NO MO is the first manufacturing business to lease space in the Incubator. “This place is awesome,” commented Gregg. “It is a huge asset for starting up new companies.” All of the partners, along with a few students and friends, are currently involved in assembling the stands. All materials are made in the U.S., Gregg stressed. The aluminum poles are fitted and other parts built at Larry and Chad’s company before coming to the Incubator where the stands are put together. Jay Gregg started working full time with BEN NO MO last week as marketing and sales representative. They have purposely been low key about their marketing and sales strategy as they gear up the manufacturing process. They began by selling stands to friends and recently introduced them at Merry Marketplace. The response has been great, Jay said, adding they have sold close to 200 stands in the last two months. The stands sell for $65. They are available locally at Block & Vino, at Pawley’s Island Outdoors, or by calling Jay at 843-350-5262, the office at 843-413-3287 or by going to the website www.bennomo.com.